... is what Sesame Street would name a book about tamales, tortas and tequila. Provided Sesame Street were into such things. That somehow leads us to DiDi’s Tamale Diner. 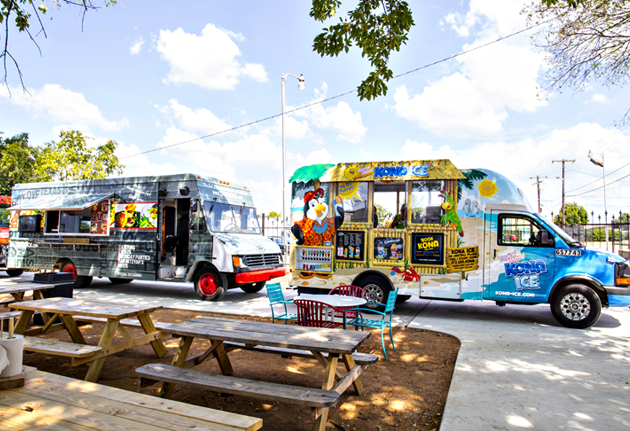 It’s a colorful new home that’s serving all those things we just said, and it’s slated to open Monday at Trinity Groves. Sure is friendly in here. 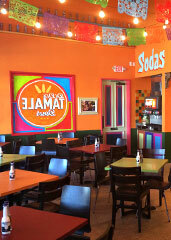 With those orange walls and that colorful tile work, it feels all welcoming and Latin-y. Just the kind of place that you and some like-minded friends would enjoy visiting for afternoon sessions comprised primarily of warm tamales and cold cervezas. And about those tamales: here you’ll find them in both the Mexican and Central American styles, which means corn husks and banana leaves stuffed full of pork and smoked brisket. But let’s say you don’t want a plate of tamales (because you’ve already had six). In that case, get a torta. Everyone likes a good torta.